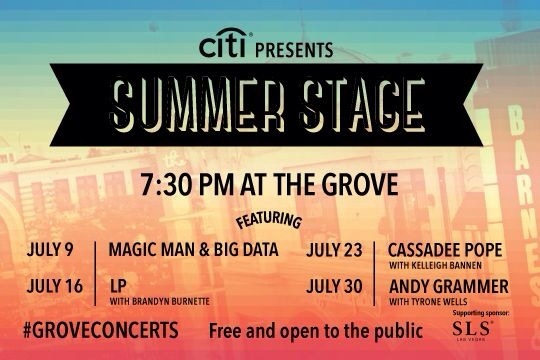 Catch Los Angeles-based platinum-selling singer, songwriter, musician Andy Grammer performing tomorrow night (July 30th) at The Grove to close out their Summer Stage Series. The show is absolutely free, begins at 7:30pm and should prove to be fantastic. 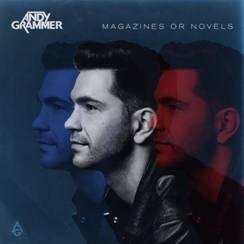 Catch Andy Grammer at The Grove’s Summer Concert Series on 7/30 at 7:30 for free! Andy’s first single for his new album, “Back Home,” has broken into the Top 25 on the Adult Top 40 national airplay chart and is on a continual upward climb. So, get with the groove and get to The Grove tomorrow night! And, while you’re at it PRE-ORDER Magazines or Novels on iTunes. You can watch Andy and his band recently performing “Back Home” on “Good Morning America” and experience his music video for “Back Home” which premiered on Billboard.